Photos on this page courtesy of Luena Amaro. All Rights Reserved. 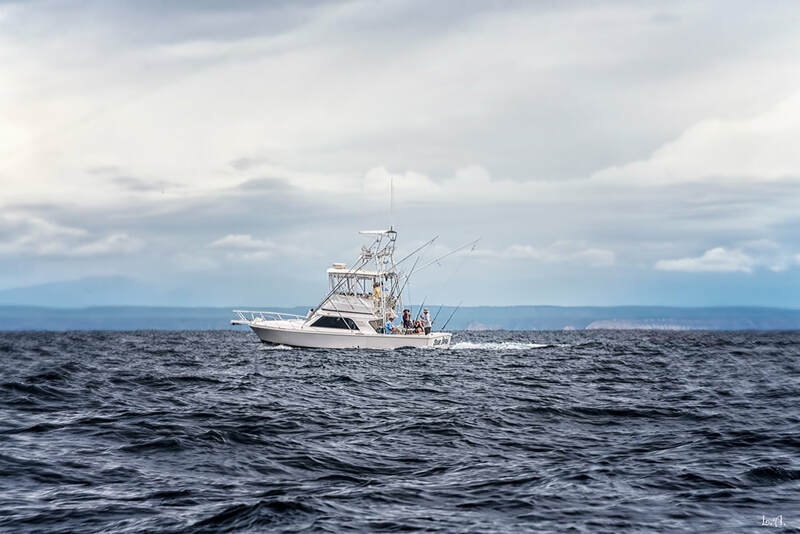 Our boat, the BLUE SNIFFER, is a classic 1996 Blackfin 33 fly bridge and is fully equipped to handle all types of offshore fishing from 130lb chair tackle to fly fishing for Sailfish. The boat was repowered with new Cummins 450hp C diesels and cruises at 23 knots. The fly bridge comfortably seats 5-6 people and with the low fly bridge format, it is just 3 steps down from there to the cockpit. 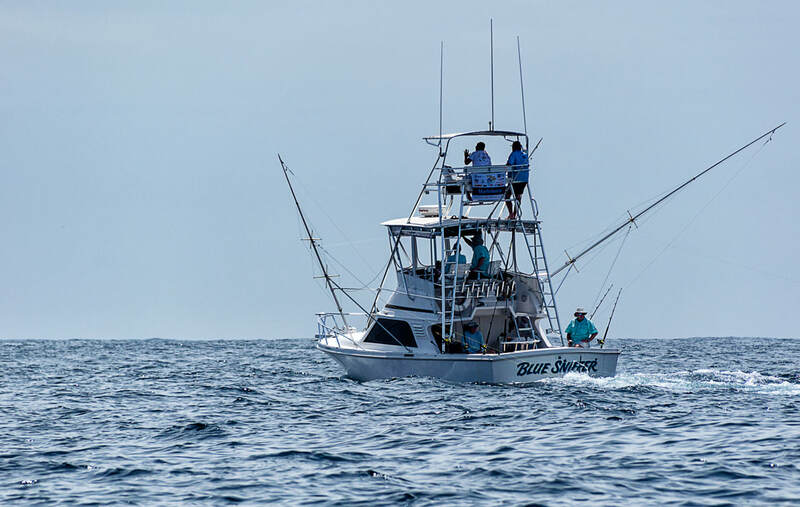 Anglers can therefore stay up in the shade and breeze, yet be just a few steps from the action in the cockpit. We recommend a maximum of 4 anglers so everyone is comfortable but can take 5. The cabin is air conditioned and has an enclosed head with an electric toilet, galley, fresh water, fridge and music system. With a V berth and small dinette anglers can get out of the heat for a nap and cool down. Safety equipment: The Blue Sniffer carries a full compliment of safety equipment, including, life vests, inflatable canister life raft, Inmarsat satellite telephone, 2 portable VHF radios, 2 marine VHF radios, first aid kits, flares and fire extinguishers.